When we were working with our architect we wanted something different that would stand out and hopefully intrigue potential guests. The fact that the building has gone on to win a national RIBA award was a lovely, unexpected bonus. 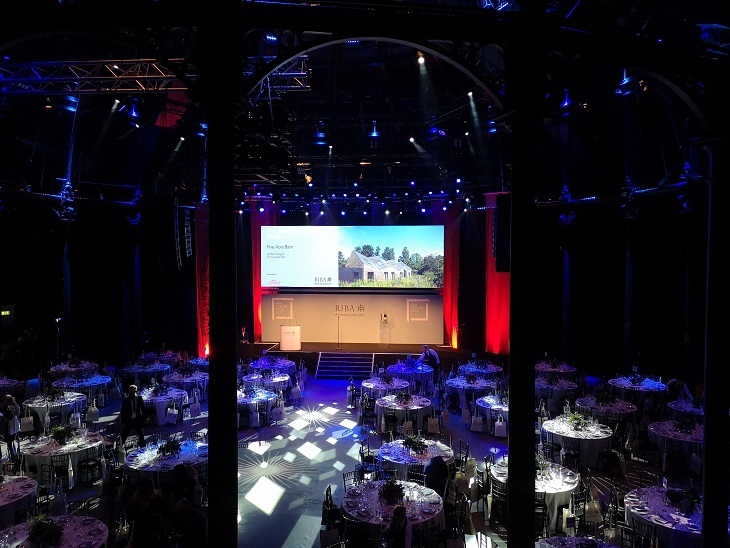 We had thought that the journey ended there but then we were nominated for the Stephen Lawrence Prize…..
To be honest we hadn’t heard of the Stephen Lawrence prize – though as our architect was extremely excited we knew that it was something special. We hadn’t known that Stephen wanted to become an architect before he was murdered in a racist attack. The prize, now in its 21st year, honours projects that cost less than £1m to complete and is intended to encourage fresh architectural talent. I have to admit when I told my parents they laughed. I think that they were amused that someone should be honoured building a house for less than £1m!! I reassured them that we didn’t spend anywhere near that much! The winner was to be announced in October at the same event as the Stirling Prize – at the Roundhouse in London. The only slight problem was the price – £400 a ticket! Way too much for B&B owners. Fortunately RIBA let us go in the cheap seats with the architecture students for only £50 ahead. Now that was more like it. It was a great night – a brief window on a world of which neither of us are a part. Funnily enough as we bumped into a number of our previous guests (we have a lot of architects staying) we actually felt quite at home. Unfortunately….. we didn’t win, with the award deservedly going to ‘Old Shed New House’ by Tonkin Liu Architects. It looks amazing. Our architect Greg was a little disappointed – I think that they had rather cruelly sat him right next to the stage. He very generously bought a couple of bottles of champagne which was as much compensation as we needed! It was a fun ride while it lasted and we look forward to see the winners in future years.